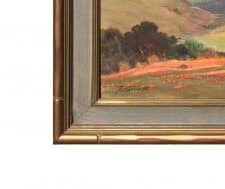 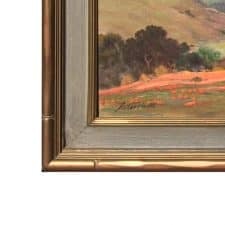 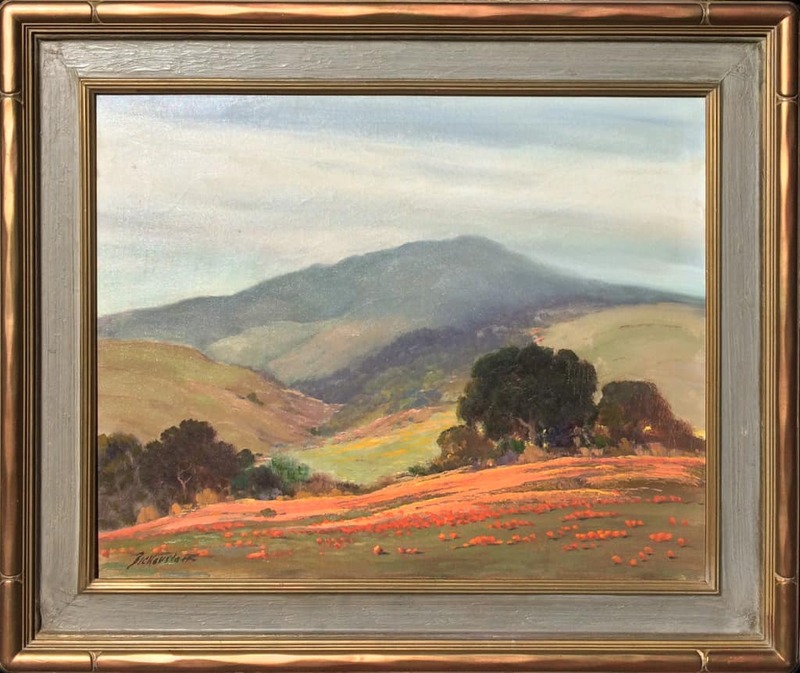 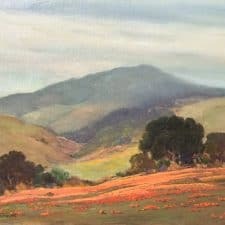 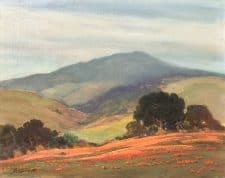 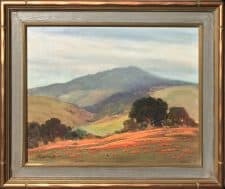 The painting is a classic Southern California plein air landscape scene depicting rolling hills with scattered oaks and fields of golden poppies. 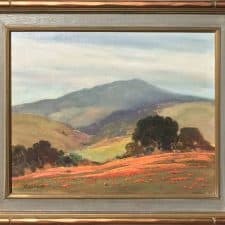 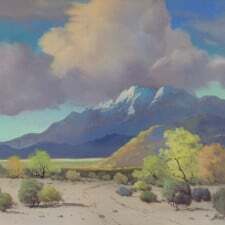 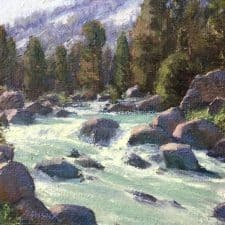 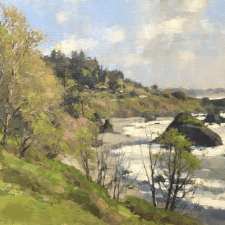 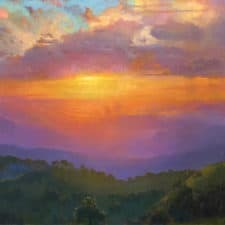 Bickerstaff's primary subject was of California's pristine landscapes. 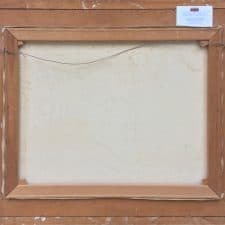 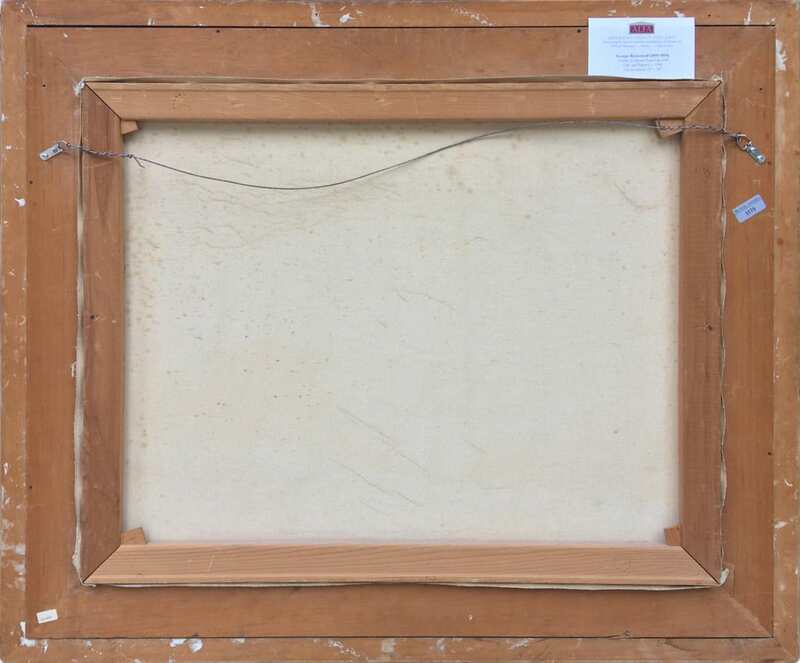 In fine vintage condition and original frame crafted by the artist.